I am a longtime student and fan of process improvement principles and methods. That includes visual management. This Lean concept encourages us to make what’s happening in a process visible at a glance so problems can be spotted by team members early and any damage avoided or at least minimized. Okay, hold on. That’s just not so. I know I’m a devotee but even if you’re not as fanatical as I am, you must know that visual management helps your life run smoother every day already. What do you think stoplights, road signs and parking lot stripes are? How about those lights over the check-out stands that show you which ones are open? The counter at your auto dealer’s service department that says, “Now serving number 101”? Those are just a few that you probably see in your day-to-day life. I knew I was going to be an eternal evangelist for visual management when I got myself a nanny. Yes, a nanny. My family was driving me CRAZY by putting dirty dishes in with the clean ones in the dishwasher. They never seemed to check and then I had to re-run the whole load. Enter my savior, the Dish Nanny. Such a simple concept for us all to see whether the dishes are clean or dirty, but so worth it. My husband found it and gave it to me as a gift (don’t be judging—I love it). Not one time have we had a row over dirty dishes cohabitating with the clean ones since she came to live with us! If you look around your home, I bet you can see visual management all around you. Do you have a family calendar showing weekly or monthly activities for everyone? Do you have a chore list? How about a standard grocery list to indicate when you’re running low? Does your smoke alarm battery light blink when it has to be changed? Does your laptop computer show you the percentage of battery life left? Does every knife in your block or drawer have a set space? How about the tools in the garage? 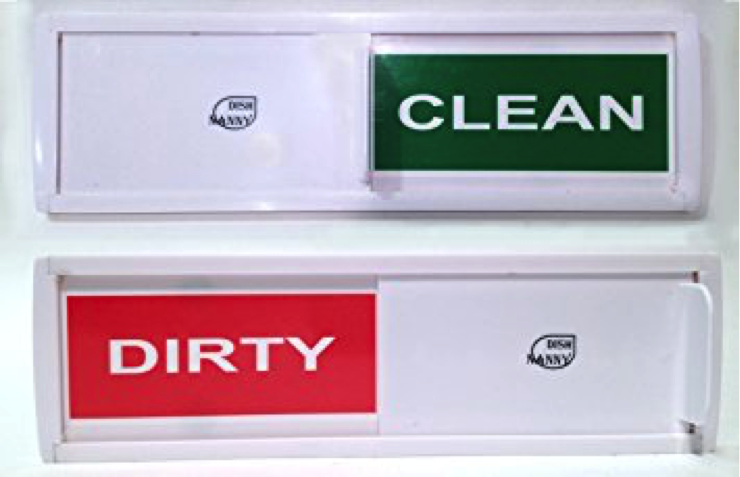 Are your waste receptacles color coded for trash, recycling, yard waste and composting? Everywhere you look, visual management is helping your team at home better manage your shared processes. Why would anyone think that isn’t important at work, especially in office-type processes that are harder to see than manufacturing processes? Please give visual management a chance. Look around you, see how it helps you already and think about how it can help your team at work better manage processes and solve problems together. Heck, start with a Dish Nanny for the office kitchen dishwasher. Just think of the squabbles you could avoid! Gwen Voelpel has 20 years of experience in coaching and mentoring leaders at all levels of organizations. 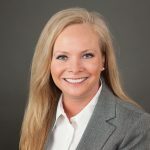 She has an undergraduate degree in communications, a graduate degree in public administration, and has served as an executive leader in several organizations. Gwen is an accredited Five Behaviors of a Cohesive Team and Everything DiSC Workplace Facilitator and a Certified Master in Training for The Leadership Challenge.